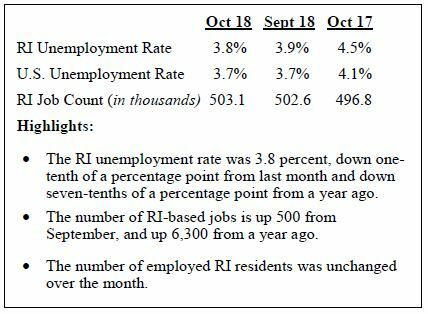 Home Industries Business Services Steady unemployment declines continue into Oct. Previous articleProvidence metro income per capita over $52K in 2017, Bristol County ranks No. 1 in R.I.